A recent experiment examined the effects of combining MDMA with psychotherapy as a treatment for post-traumatic stress disorder. Post-traumatic stress disorder, or PTSD, is an extremely common affliction among military personnel and first responders. Close to a quarter of all veterans and first responders are affected by this disorder throughout their lifetime. PTSD creates a huge psychological burden on the person, but it also creates a severe strain on an individual’s relationships, work performance, and overall life quality. Treatment for PTSD often involves a combination of medications and psychotherapy, yet many patients continue to experience symptoms after treatment. As such, there is a need for more diverse, novel, and even experimental methods. Can MDMA catalyze psychotherapy treatment? A group of researchers in the United States looked into the efficacy of combining psychotherapy with MDMA, a well-known amphetamine. Amphetamine is a strong stimulant of the central nervous system. The idea seems to be that MDMA may catalyze treatment, allowing for psychotherapy to be more effective. The researchers have also measured the safety of administering the drug in veterans and first responders. To test their theory, the researchers recruited 26 veterans and first responders and subjected them to therapy with either 30mg, 75mg, or 125mg of MDMA. All of these participants were previously treated without success for PTSD. As published in The Lancet Psychiatry, the researchers found a significant improvement in symptoms with a 75mg dosage. Interestingly, both a higher and a lower dosage proved to be less effective. This could be due because the 75mg dosage allowed for “more focused processing of traumatic experiences”. On top of that, depressive symptoms and sleep quality drastically improved following treatment, but only for the 125mg dosage group. Psychological, occupational and social gains were further reported in the higher dosage groups. Another interesting finding reported in this study is that participants in the active groups have shown a change in personality factors. Personality is believed by many researchers to be a mostly unchanged facet of their life. However, as shown in this experiment, there has been a positive change in the personality traits of the patients, extending beyond the reduction of symptoms. Positive changes in personality can further promote healthy mental health and quality of life. While it is not understood exactly why these drug-induced personality changes happen, a similar finding has previously been reported with psilocybin mushrooms. In terms of side effects, jaw clenching and perspiration did occur quite often throughout the sessions. Other incidences that have occurred were either mild or moderate in nature, and possibly attributed to the disorder itself. Suicidal ideation has not been a factor, and was, in fact, reduced after treatment with MDMA. 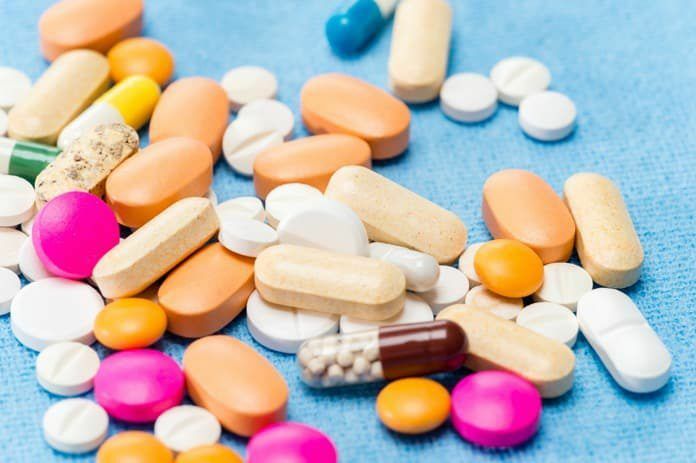 Addiction is always a possibility with mind-altering drugs, however, in clinical settings, the chance for addiction is “presumed low”, as the researchers determined. The researchers hypothesize that the positive response to treatment is due to the way MDMA may “attenuate response to anxiety-provoking thoughts or feelings during recall of trauma memories”. That is, MDMA acts a sort of ”cushion” for the patient, allowing them to access the troubled memories in a more comforting way. The accessing and processing of the traumatic memories is essential in PTSD therapy. The treatment has one major flaw, however, and that is the low number of participants. It is not practical to expect a large sample size in experiments of this nature. Yet, a larger sample size is essential for our confidence in the findings. Nevertheless, the methodology is quite sound, and the size of the effect was quite large. It is thus very likely that these results are indicative of a true connection between MDMA and improved results in psychotherapy. Further thorough research is still needed, however, before we can conclude that this method is indeed safe and effective. Reference: Mithoefer, Michael C, et al. “3,4-Methylenedioxymethamphetamine (MDMA)-Assisted Psychotherapy for Post-Traumatic Stress Disorder in Military Veterans, Firefighters, and Police Officers: a Randomised, Double-Blind, Dose-Response, Phase 2 Clinical Trial.” The Lancet Psychiatry, vol. 5, no. 6, 1 May 2018, pp. 486–497., doi:10.1016/s2215-0366(18)30135-4.